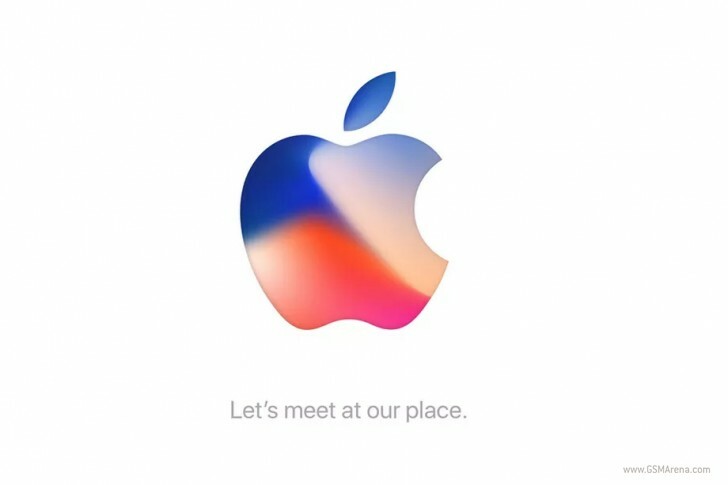 Apple has sent out the invites to its iPhone 8 event with the simple "Let's meet at our place." That place is likely the Steve Jobs theater and the time is September 12. The invite doesn't seem to give us many clues as to what Apple is planing. Is that a thermal image inside the Apple logo? Probably not. Apple is expected to unveil the anniversary iPhone 8 with an AMOLED bezeless screen and some clever 3D-sensing imaging. There will likely be a duo of revamped iPhone 7s-es with wireless charging and upgraded internals. Rumor has it that there will be a 4K-ready Apple TV and maybe an LTE Apple Watch. Amoleds are better and costlier than LCDs.